In September 2017, Megyn Kelly had a strained, awkward interaction with her guest Jane Fonda. 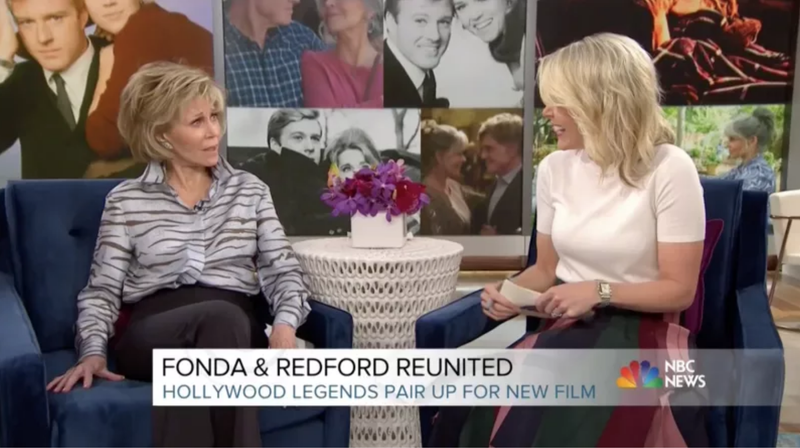 Kelly asked the actor why she had said in a previous interview that she wasn’t proud to admit to getting some plastic surgery work done, and Fonda expressed her displeasure at the question, quickly changing the subject. That’s it, end of not-so-bad confrontation! It’s a talk show and this definitely qualifies as talking! Well then! Sounds like Kelly has had some psychic work done and is now in a much more confident, forgiving, and *constructively* bitter place! I consider this a win-win. After all, there are few greater endorsements of a person than Megyn Kelly actively disliking them. Time for a very different sort of anniversary. Take a load off, don’t think about the tyranny of American governance for a mere moment, enjoy this lovingly memorialized foot rub.